There are a lot of different candies that japan has to offer which makes it exciting in my opinion here is my own list of 5 popular candies that i think are popular in Japan. Kracie Japan happy cooking- is a diy candy making product of different foods that can be made in gummy candy its creative, cute, and fun. Poky- Are fun filled cookie sticks that are covered with chocolate or in other different flavors i tried a poky pack before and i liked them. Kiwi fruit gummy candy- this candy is made out of kiwi and its a gummy candy. Hi chew- are chewable fruit candy that is soft to chew and enjoy take a bite of it and experience the fruit taste its a must try candy. Kit kat- these chocolate kit kat bars from Japan are really tasty and great for chocolate lovers. So those are my opinions about these five Japanese candies i hope you enjoyed my post about candy i wanted to share this list because i feel that its always good to try new candy from another country and maybe this post will inspire other to do just that. How did I get interested in tasting Japanese candy? I got interested in tasting Japanese candy last year after I ate some Japanese food at a restaurant which was good by the way I ended up liking it and because I would see YouTube videos on different people eating Japanese candy so I decided to try it out to see if I might like the candy from Japan and I did like it. My favorite are the DIY candy gummy makers I hope to learn more about the candy from Japan and to continue on to my journey of tasting it. 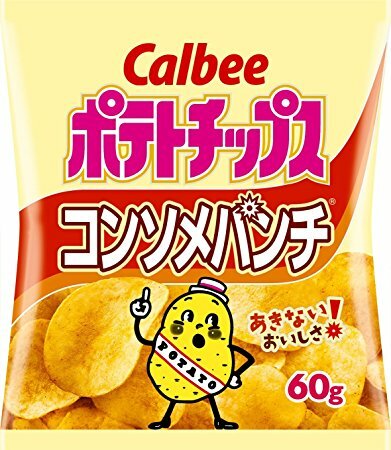 The japanese chips that I like the most are the patatoe chips these patatoe chips are not that salty and they taste good. They kind of have a similar flavor to the Lays brand of patatoe chips. What I like about these Japanese patatoe chips is that they are crunchy and they have a good patatoe flavor in them. What is Kracie popin cooking Happy kitchen? Its a candy making kit from Japan that kids and adults can enjoy doing and eating. Kracie popin cooking has a selection of DIY candy such as DIY hamburger making, DIY ice-cream, DIY pizza, DIY cakes, DIY bento, DIY donuts, and DIY sushi. The box for these DIY candies are super colorful and fun what I like is that it has instructions on how to make the gummy candy along with pictures that way you can see how its done. The taste of these gummy candies are sweet and good and it tastes just like the food which is really awesome and cute. I really recommend this DIY candy to anyone who is a candy lover and likes DIY activities or for someone who wants to try something new. Eating cheetos made out of bbq from Japan was a really exciting experience for me I have only eaten the original cheese cheetos and the spicy cheetos from the USA so the bbq cheetos was new to me. The taste was really good the cheetos do really have this real bbq flavor. I was kind of surprised when I first saw the bag of cheetos because it said bbq on the bag I was like ” I never knew that the cheetos chips could be made in bbq flavor”. 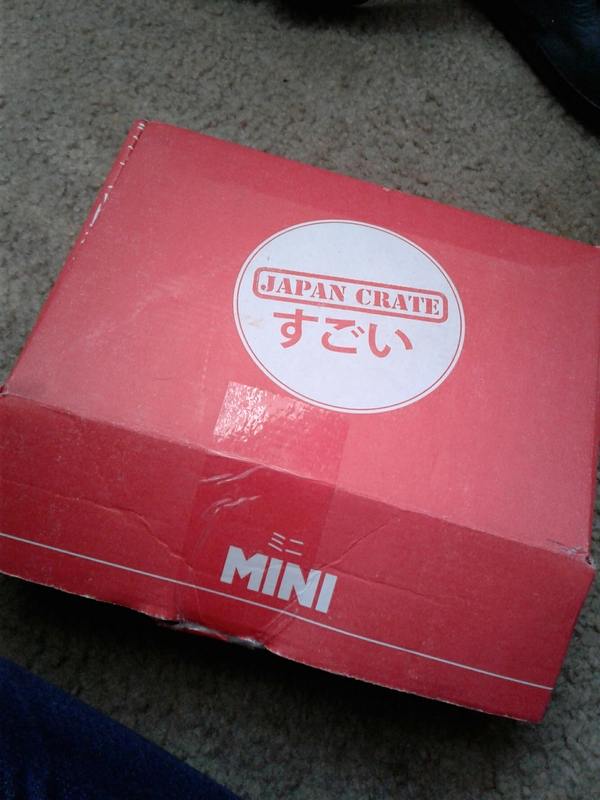 This is how the box looks from the outside. 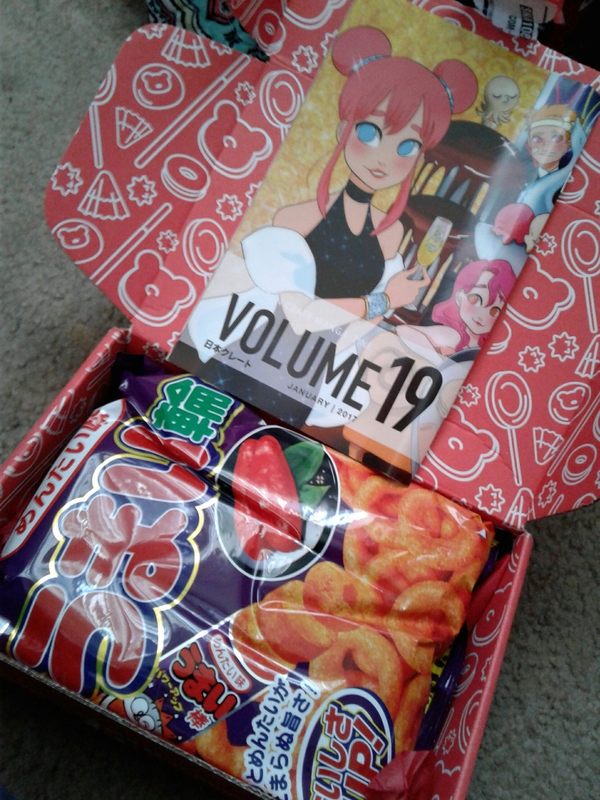 I like how the box is decorated from inside it’s really cute and creative. 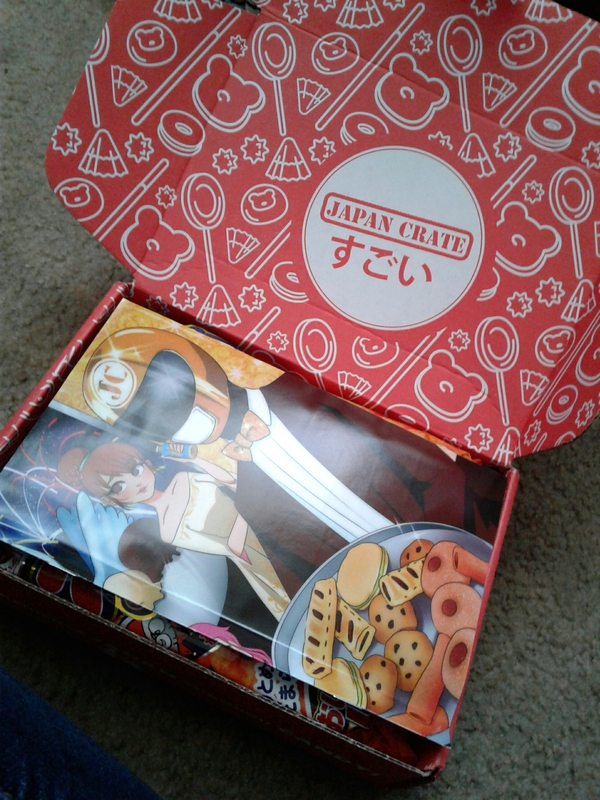 Another thing that I like about Japan Crate is that inside the box there is a manga magazine that comes a long with the candy.